Where Can You Get Camera Enclosure Like These? I was at a Meijer recently and noticed they had many more real cameras than they used to. 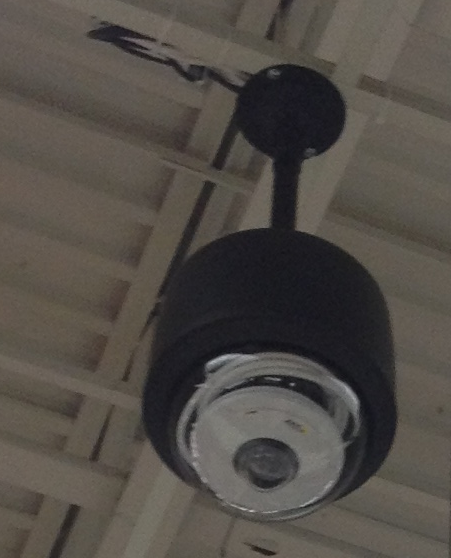 Meijer would generally have very few realy cameras and a lot of similar dummy domes. They seem to have changed all existing cameras to IP cameras. They were using the Axis mini dome and I saw Axis box cams in the smoked domes. I could see the green light through the smoked dome lens. I was wondering where you can get such enclosures like these and the ones found at Lowes and Home depot. I know they are primarily for box cams and cameras that don't use build in IR, but I've never known where they are purchased from or who makes them. I had to laugh since you could tell the new camera domes from the old by the amount of dust on top of the dome. Those pictures are WAY too tiny to make any sort of identification of the enclosures, but from what I can see, they almost look like Pelco Spectra housings. I updated the post to link to the original images which I should have done initially. Hmmm, well, the first one especially, it looks like they have an Axis minidome just sitting the bubble of an old PTZ housing... maybe not a Spectra, but something very similar, maybe a Capture Fastrax. Yes, this is the one I laughed when I saw it. This is the style Meijer used most often. With this dome, it seems they took a fake dome, replaced the smoked lens with a clear one, and stuck the Axis inside. How much CATx cable do you need inside the dome? It was simply set inside and was not mounted to anything. One of the employees was looking at me funny when I kept looking at all the cameras. She asked me if she could help me find anything. I was simply suprised that they actually increased their camera count. At one time, I would estimate that about 10-20 percent of the cameras were real. Most of them at this location, if not all, were real. Meijer used to use box cams that would scan the parking lot. I haven't seen them move in a long time so I think they either moved away from that logic, moved to IP for higher resolution, or they broke and were never fixed. That white cat 6 is the pigtail that comes with that axis camera - its huge. That is their PTnonZ (what I call it) it is 720p and it will pan and tilt but only has digital zoom not optical -- but that installation is horrible. I don't think those are Pelco the shape isnt right.